13/08/07: "Anyone who thinks the [Home Office] report is a full account is not being serious or realistic." On the launch of his new film The Homefront, the Cousin of 7/7 victim Anthony Fatayi-Williams, filmmaker Thomas Ikimi, tells J7 about his film and the experiences of his family at the hands of the government since 7/7. A blog entry on the Homefront web site expresses the families' perspectives on the second anniversary of 7/7. Two years on and 7/7 had been dropped from the media agenda in favour of Al Gore's Live Earth concert and the commencement of the Tour de France in London. The 7th of July terror attacks came as a shock to a great many londoners. When the bombs exploded two years ago, we were reminded that the war on terror could, and had, come home. Fifty two citizens lost their lives that day, and one of them was my cousin Anthony Fatayi-Williams. He, like myself, was only twenty six years old when the attack occurred. I said to myself at the time, no matter what happens, London will never forget this. London is a city of tradition, respect and reverence. It will not forget it's citizens lost this day. Sadly, things quickly began to unravel. Within a few months of the attacks, a number of things deeply concerned me. The fact that families were shut out of the closed door inquiry into the bombings was scandalous and a real slap in the face for want of a better description. This was compounded by the lack of real support and adequate compensation for victims and survivors families. It was all very disappointing. I think I can speak for the families here when I say that we felt let down and forgotten. On a personal level I believed that my cousin, and all those who lost their lives in the attacks, deserved more. They deserved the respect of having a public and open inquiry into their deaths so that lessons could be learned from such a mindless massacre. Most of all these people deserved to be remembered, if not everyday, at least on the day that these atrocities took place. Fast forward two years and we have the second anniversary of the attacks. My family and I went about our business, making preparations and organizing a private remembrance of Anthony. I tried to ignore it, but we were aware that for some reason, no less than three major events were taking place on that very same day. We had the Wimbledon women's final, the Tour de France and the Live Earth concert all placed on the seventh. Why did they do this? I try desperately hard to stay away from conspiracy theories and conjecture, but would I be wrong for sensing at least a mild whiff of cynicism at play? Every single one of these events could have been moved to allow the day to be clear for the july 7th remembrance. Rain alone can cause a Wimbledon match to be shifted, so it can be done. To add insult to injury, there was this unusual emphasis on a 'low key' memorial in the news, almost implying this is what the families wanted. That was not the case. There was no cast in stone reason for all this entertainment to be scheduled on the seventh. In fact, has there ever been a situation with such a line up of major events on a single day in London? I can't recall one. The one day we could have sat back and taken stock of the effects and policies resulting from the July bombings, we were diverted by events that, in themselves, held no more importance than being what they were for the day; diversions. A few weeks ago a burning van was crashed into an airport in Glasgow. Some days before that, two car bombs were found in London with enough explosives to level buildings. If ever, now is the time to really think about the problems we are having in the society in which we live. There is no time for diversions and fleeting entertainment when the future of ourselves and our families are at stake. This is not to be simplified as the percentage chances of being killed by terrorists. That probability is small. The real effects are the paranoia, stereotyping, fear and polarisation that we have seen cement itself into our lives with every islamic suspect apprehension and failed terror attack. There shouldn't be such a rush to pull wool over our eyes on a day that we could all, as a country and nation, stand together and think about where we stand in this new war. That energy pumped into Wimbledon promotion, that marketing media push for the Tour de France, the tv spots for the Live Earth concert; these resources could all have been directed at remembering the 7th of July and what the day stands for. I lived in New York through and after 9/11 and I can tell you that trying to place any major event in the week of the anniversary would be met with not only ridicule but ardent derision. I even remember the furor over movie releases around that day and the clearing of major movie openings because studios knew no one would care about anything else but remembering the lost at that time. To this day six years later, it is the same every year in America. September eleventh has become symbolic and more than just a memorial. It is a focus point when a nation comes together to take stock of where they stand. Can you imagine the Super Bowl, the US Open women's final, and the MTV music awards all being scheduled for september eleventh? Yes we are different nations with different sensibilities, but we are also allies against the terrorism that took our citizens. As we stand together in the fight, we should also be together in tending to the fallen. I appreciate my personal loss is not, and should not be, similarly felt by those that did not have a personal relationship with my cousin. Sometimes bad things happen, and I have to live with that fact. When he got on that bus, he was one of thirteen that did not come out alive. One of thirteen in a city of millions. As much as I may try, I can't argue with fate. The key question is what one life is worth. What did each of those lives lost mean, not on an emotional level, but to the social development of the nation? The 7th of July is special, and the lessons we can learn might prevent revisiting the horrors that some of us have already had to face. Remember the 52. Thomas' blog entry echoes the sentiments of Graham Russell, the Father of London bombings victim Philip Russell, who said, "I must admit I was disappointed with the lack of coverage by the media considering it was the second anniversary. I thought that was very poor. It took a back seat against Al Gore's disastrous concert and the Tour de France." Mr Russell also added, "9/11 is remembered every year by the Americans. A number of us asked the question 'would Al Gore have been allowed to hold a concert like that in Washington or New York on 9/11?'" The Homefront explores many issues surrounding the events of 7/7 from the perspective of a bereaved family, documented through interviews with family members and friends, as well as public figures including Terry Waite, Metropolitan Police officers, journalists, and members of Military Families Against the War. Setting out to discover what happened in Tavistock Square the film covers the dismissive way in which the government has treated families bereaved on July 7th, how the Islamophobic agenda has progressed since, and the way the word "terrorist" is defined and used. Intrigued that at last one of the families bereaved on 7/7 was trying to tell their story of 7/7 and what followed, J7 arranged an interview with the film's director, Thomas Ikimi. The results are presented below, with J7's questions in blue text. Firstly please accept J7's deepest condolences for the loss of your cousin Anthony and thank you for agreeing to this interview. 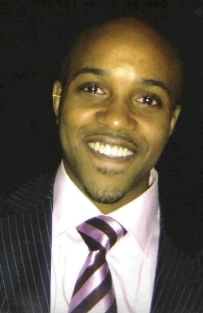 Many people will remember Anthony's mother, Marie Fatayi-Williams, from her appearances on television shortly after 7/7 and in particular her repeated demands that the family "need to know what happened." You started on this project in July of 2005, although there's a scene in the film that suggests filming started closer to December 2005, and the impression given by the film is that it might not have been made at all. What was the deciding factor that prompted you to go ahead with making the film? The main reason I decided to go ahead with making the film is that I wanted to feel involved. I wanted to feel like I was doing something. It was actually an idea presented to me by a family friend when I was ranting and raving about my views on the events and the state of the world today. He said, 'hey you are a filmmaker, why not make a documentary?' As odd as it sounds, that statement is what put the idea in my head. Till that day a few weeks after July 7th, I had not even considered making a documentary about anything. A lot of the early scenes are from July and August (the bus driver incident and the visit to the plaque in Victoria Gardens are from July/August). December is when things really got going though. You state at the beginning of the film that you set out to "find out what happened in Tavistock Square." What were your initial plans for the film aside from that goal, what other questions did you set out to answer? Did you discover what happened in Tavistock Square, or answer any of your other questions? Yes, my first goal was to find out what happened there. The police officers took me through everything they knew and saw and it was pretty lucid. It made sense from their perspective. However, there is next to no way of knowing what actually happened BEFORE the bomb went off because such witnesses are hard to find now. One of the things that comes across in The Homefront is that your family have been given short shrift and sidelined by the government and authorities. A scene in the film even notes that the plaque in Victoria Gardens for the victims "is the smallest thing you've ever seen." What are your experiences at the hands of the government and authorities? Is this experience shared by other bereaved families and why do you think that the government response to the bereaved has been so lacking in the wake of such a serious event? The government response has been awful. Quite what Blair thought he was doing was beyond me, but he came across as the coldest most unfeeling leader the UK has had. To actually sanction the statement that an inquiry would be a 'a waste of funds and time' is unreal for any human being in office to say to their people in the light of such a tragedy. There is a public inquiry to just about every crime in the UK, so what is the problem here? Waste billions of dollars and YEARS in Iraq on a whim but not a few million and a few months on an inquiry into the worst terror attack in UK history? They are trying to squash the families out of memory because if people see and notice them, then people will find it harder to forget 7/7 and that leads to a demand that the government hold the inquiry. In the Homefront you state that you were stonewalled by the transport companies involved, TfL and Stagecoach. J7 have experienced similar responses to our Freedom of Information requests to TfL and the authorities and we know that emergency services personnel have been instructed not to speak to the press. None of the drivers of the three trains involved have ever been named or interviewed, and the driver on the Piccadilly Line train even had his claim for compensation refused as the Metropolitan Police claimed to have no record of his involvement. What have your experiences with these organisations been and why do you think they have adopted such a defensive and detached position? First I will say this. The Met Police officers (on the whole) are great folks. I spoke to many of them on the beat about 7/7 and these are just guys like us, as afraid and confused by the whole thing as we are. Men like Graham Cross should be applauded because he does a pretty thankless job. The people that make the decisions on what the met police can and can't do, who they apprehend and who they don't and what they know and what they do not, are to blame here. TFL is a horrible company and I fear for my safety on their system so much more now than I did before trying to talk to them after 7/7. They are a firm that serve themselves first and not the people. Their image is what matters. I was 'handled' by their PR office from the very first phone call/e-mail and patronized till I gave up trying to break through. TFL KNOW that they are liable and that if people thought about it, they could be sued for a whole lot. They contract private firms for security and are in fact a private firm themselves now. If 52 people died on private property in any other circumstance, you better believe serious lawsuits would ensue. That is what frightens them. The culpability, the damage to their image that they control, and the potential loss of revenue and confidence if people actually knew how badly prepared and managed they are in the wake of 7/7 and prior. The government has repeatedly refused to hold a public inquiry into the events of 7/7 and has given no legitimate explanation for this refusal. In fact, their arguments for not holding a public inquiry, reasons of costs and resources, pale into insignificance compared to the resources and billions of pounds poured into the joint US/UK occupations of Iraq and Afghanistan. In addition, the government also has a piece of legislation known as the Inquiries Act 2005 which means all inquiries are subject to government control and approval so, in truth, there can be no reason for refusing an inquiry on the basis of cost or resources and, further, there can be no such thing as a truly independent public inquiry under the terms of the act. What are you thoughts on the government's position, actions and the legislation under which any inquiry would be conducted? The legislation is suspect, and the timing of its implementation is even more so. Really I am concerned about the British people. Why accept this? You are being told that you don't matter and your lives are expendable and that is somehow okay? If the government wages war in your name, is it not right that the loss of life in the process be properly accounted for and respected? To put in a law that prevents that from happening is very unfortunate. The Home Office published its official narrative of events on 11th May 2006, a report meant to stand in place of a full public inquiry. Yet, just two months later and only four days after the first anniversary of 7/7 the then Home Secretary John Reid was forced to stand before Parliament and correct a major detail in the story, the time of the Luton to King's Cross train that the accused are alleged to have caught. Since then, further errors in the report have also been acknowledged by the government. What are your thoughts on the veracity of the government narrative of events and has it answered any of the family's questions? Do you feel that it is as Tony Blair said it would be "a full account of all the information we have." Anyone who thinks the report is a full account is not being serious or realistic. The holes are so glaring, that even as a story, it isn't a very good one. We understand that there are several groups that have become known as 'survivor groups' directly affected by 7/7. Is there a similar arrangement for the bereaved families and what are your feelings on the support you have received as a family? Has this support been effective and have the government been responsive to your concerns as a bereaved family? 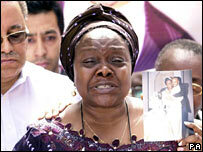 Marie Fatayi-Williams, challenged Hasib Hussain's mother to meet with her to condemn suicide bombing. Are you aware that Hasib Hussain's father was last reported on the first anniversary of 7/7 as saying that he has yet to be shown any evidence of his son's involvement. From the point of view of the public we have yet to see any proof. What are you thoughts on his statement? Everything is in doubt till a full inquiry is held. I do not believe the four men are innocent of all wrong doing and at least two of them, from the videos they made, have extreme views that in themselves should be cause for serious concern. Other than that, with no inquiry that is public, we know nothing for sure. I have an open mind. What are your thoughts on the claims that the CCTV on the bus wasn't working? Similar claims were made when Jean Charles de Menezes was executed at Stockwell station. An obvious lie OR they were intentionally disabled. Either way, such a claim as 'they were not working' insults our intelligence. The media has been almost totally silent over the anomalies and inconsistencies in the Home Office report. No investigative journalist has carried out a fair and open-minded analysis of the evidence or lack of it and great lengths are gone to to dismiss valid questions about a highly significant event in the history of this country as 'conspiracy theories'. This is shown in the Guardian article 'Seeing isn't Believing' and a recent Channel 4 News report. What has your experience of the media been and what is your opinion on the way in which they have reported on 7/7 to date? The media in every country is an arm of the government. The media generally treat 7/7 as a story that is no longer 'hot.' The world is changing and people are waking up. The internet is the future of media/news dispensation. Very soon it will be the mainstream media's own inadequacies that will be their downfall in favour of the internet's open nature. Note, why is there such a rush by the media giants to buy every major internet networking site that appears?? Myspace, YouTube, Napster etc. It is because they know. Power is coming back to the people in music, movies and news and it can't be stopped. One day it will be next to impossible to keep the truth suppressed or to paint in a negative light groups or people that should not be. The media have all the info to force the government to have this inquiry but they choose not to use it. It is their prerogative. Channel 4 News commissioned a piece of independent research and found that 59% of Muslims didn't believe the government had told the whole truth about 7/7 and 25% weren't satisfied that those accused had carried out the attacks. Responses sent to Channel 4 News by viewers questioned why the survey focused only on the Muslim community because a similar proportion of non-Muslims would have responded in the same way. Channel 4 News reporter Darshna Soni said of the findings, "These views can't be dismissed as belonging to a minority fringe of extremists or fantasists." What do you make of these statistics and what are the feelings among the family about the veracity of the official version of events? The fact that they called it a narrative (a story) sums it up. A group of like minded people got together and wrote this report, and it means absolutely nothing. It is probably the single most astonishing achievement in disrespect by a major western government that I can recall in recent times. To do this in your face 'we don't care' action and actually get away with it is mind boggling. As you rightly point out in the article we reproduce here from your blog, the second anniversary of this dreadful day is buried under events such as Live Earth and the Tour de France. Why do you think there has been such a rush by the authorities to 'move on' and put these events behind us? The less the general public think about 7/7 the easier it is not to address it properly. It is the art of diversion at its best, and it's worked very well indeed. J7 are extremely concerned that the events of July 7th have been used to demonise the Muslim population, create a more polarised society and to introduce ever more draconian laws and legislation. This appears to be the real lasting legacy of these events. We are greatly concerned about this and it is why we campaign for Truth and Justice, for all those like yourselves that were directly affected that day, and also for the wider British public. What are your views on the changes that you see since July 7th? More power in government and less power in the people means more money for those who already have and less money for those who already have not. It is simple economics. The more power you have, the more you can enrich yourself and disconnect from the minnows. Britain is and always has been a hierarchal society. It is about separation. This can be seen from kindergarten to the very concept of public schools vs state schools, royalty vs laymen, the monarchy and then the rest. These things are not frowned on but worn on chests like badges of British pride and honour. Immigrants are not TRUE British, and for the likes of the BNP who are gaining support like wildfire, getting back to where true brits rule the land is the goal. Laws like this only affect the likes of de Menezes and people like him. Would a white blonde haired and blue eyed briton EVER be shot by accident for being a terrorist or imprisoned without due process? Unlikely. These social issues are the heart and soul of the reasons for these actions. I am as unlikely as John Smith to ever be a terrorist, but since 7/7 (and before actually) I walk down the street with a pair of jeans and baseball cap, and I get looked at and noticed in particular parts of town. My brother has been stopped and questioned by police for 'looking suspicious,' I've had things thrown at me, and I've been screamed at on the street to 'go home' even though I was born in England and have lived here most of my life. This is just the tip of the iceberg. The Homefront also puts forward a hypothesis of yours that any semi-intelligent person who wanted to carry out an attack such as that outlined in the official story of 7/7 could probably still do so. Was this a way of suggesting that the security services should be given more powers and resources to try and prevent attacks, or were you instead trying to make the point that no matter how much money, resource and power is given to the State and the security services, it would never be possible to stop a determined attacker? And, if the latter, where do you think the solutions to these issues lie? The latter was my point. It can't be stopped physically. The answer is to go to the source. Look at the racism in the UK, the segregation, the rigid class structure, the hypocrisy, the exploitation of immigrants without proper assimilation into British society. Whether 7/7 was or was not a conspiracy, the fact is that it was borne out of a distrust and paranoia of muslims and islam. Why else (if it is a conspiracy) pick muslims to carry this out. If it is not a conspiracy, then it is even more straightforward. Many 'British' muslims, asians, blacks etc do not feel part of this country and really never have done. It isn't everyone, but the number is large. When you have that, if such people attack the UK, they attack a place they do not see as home. The UK has serious social problems that the government exploits and then deviates from. Solve this and the terrorism issue becomes far easier to negotiate. Finally, you make a very pertinent point in the film about how sometimes the consquences of actions can be greater than the actions themselves, which you refer to as the ripples created by the action. The Homefront film comes across in part as a voyage of discovery and it seems you encountered a few things about the world that you had perhaps not considered before and could itself be considered one of the ripples created by the actions of 7/7. What other ripples and products of 7/7 have you identified and how do you see these developing in the future? Well the main thing was the way in which each person cheats themselves out of their true potential. We can ALL be great and really mean something if we tried, but for some reason people would rather be told what is happening by others in power, rather than discover the truth or act on their own volition. The war on terror will be over tomorrow if everyone got involved in solving it rather than sat back and followed the direction of leaders who really don't have our best interests at heart. I just watched the movie Children of Men. London is not far from that on its current trajectory. Minus the infertility storyline, the UK will become as polarised a police state at this rate as it is depicted in that film. Finally, every death creates a counter awakening in those around the person. Every soldier that dies in Iraq, every victim of terrorism, every Iraqi killed in the war. If we continue to let this happen, tomorrow will usher in a generation of the desensitised who never knew what it was like to live in a semi free world. I really hope people support my movie and get a copy from the site. I want to keep producing work that deals with these issues and getting this public inquiry to happen is top of my list. My ignorance is over and I know I have a role to play. For further information about the film, to view a trailer, and to order your copy, please visit the The Homefront web site.